Rampart Casino in Summerlin will celebrate Chinese New Year throughout the property for the first time in the property’s history. The casino will be decked out in décor to celebrate Chinese New Year, and will feature multiple specials, casino promotions, as well as a lion dance throughout the casino floor. Events will take place during the month of February. See schedule and details below. The special buffet will feature crab legs, steamed swai, clams with black bean sauce, and a selection of Steamed and Fried Dim Sum including BBQ Pork Buns and Shrimp Moneybags. Guests can win free bets, promotional playing chips, Year of the Pig Commemorative Chips and more. See Rampart Rewards booth for details and rules. 9 p.m. and 10 p.m.
Rampart Casino, an elegant 50,000-square-foot casino, offers more than 1,400 slot machines, two dozen gaming tables, a 300-seat Bingo Room and a Race & Sports Book. 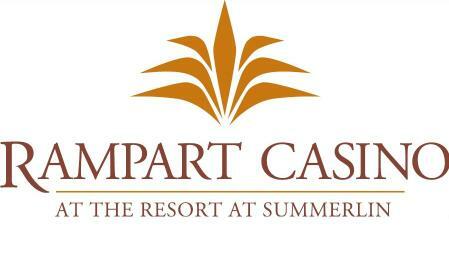 Rampart Casino’s Rampart Rewards club program offers exclusive resort benefits and rewards based on play, such as dining, spa and golf discounts, plus complimentary room nights at the JW Marriott Las Vegas Resort & Spa. For the latest Rampart Casino news, follow on Facebook (RampartCasino) and Twitter (@RampartCasino). Contact the casino at 702-507-5900.